Since 1999, Pumping Solutions have worked on countless sewage treatment projects for a variety of industries. Regardless of your requirements and the type of system you require, we can help. 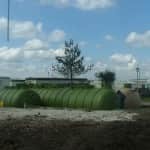 We complete every aspect of a sewage treatment system, from survey and design right through to installation and maintenance. We use quality parts and document every aspect of our installations so that we can assist you remotely should it ever be required. This means that your systems are reliable as possible. 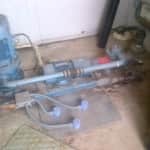 If your property doesn’t have access to mains sewer systems you will need to dispose of your wastewater in another way. One solution is to use a septic tank to store your wastewater and then have it emptied periodically. Although this works well for some people, others prefer a more convenient solution that doesn’t rely on a third-party to dispose of their waste. This is where sewage treatment plants come in. A sewage treatment plant is an all in one solution for disposing of your wastewater. The treatment plant is made up of two chambers and works in a 3 stage process. In the first chamber, the wastewater is separated into sludge (solids), scum (fats & oils) and water. The water then passes into the second chamber, where a pump aerates it to encourage the growth of good bacteria that will break down the harmful bacteria. Once this process is complete the water can then be released into a drain away, or directly into a watercourse. More information on sewage treatment plants and how they differ from septic tanks is available in our blog post. 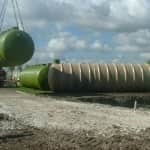 If you would like to explore your sewage treatment options, contact the team at Pumping Solutions. We’re more than happy to visit your property to perform a survey and advise you as to how best to deal with your wastewater. We can also advise you on any planning and permit requirements that may apply to ensure you meet Environmental Agency standards. Regular sewer networks rely on gravity to transport wastewater from your property to your nearest main sewer. If your property sits on lower ground than your nearest mains sewer, you can’t rely on gravity to transport your wastewater and you will need to find an alternative way of transferring your waste water. One such solution is a sewage pumping station. A sewage pumping station consists of a wet well which collects all of the wastewater from your property. The wastewater will collect in the well until it reaches a predetermined level at which point a pump activates. This allows you to build pressure in the pipes to push the wastewater upwards to the point where it can then use gravity to enter the main sewer. 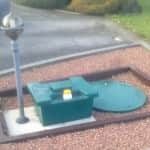 You can find out more about sewage pumping stations by reading our blog post – “What is a Sewage Pumping Station?“. Sewage treatment plants and pumping stations represent a significant investment and can also be incredibly problematic should any problems occur. You should, therefore, consult an experienced company to ensure you receive reliable information and any systems are right for you. At Pumping Solutions, we’re experts in every aspect of pumps and that includes both the design and installation of sewage treatment equipment. 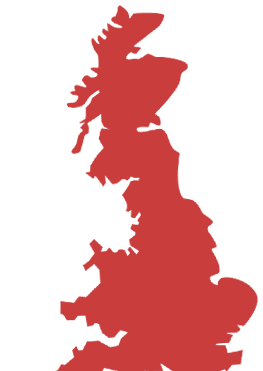 Our team has years of experience in everything from surveys right through to installation and maintenance, as well as a reputation that has seen us work on major projects throughout the UK. Call us on 01775 711960 to discuss your requirements and to arrange a survey. Our treatment solutions including specialised domestic sewage treatment plant systems, designed with the needs of a domestic property in mind – giving you the solutions you need without being forced to invest heavily in systems, which don’t fit your requirements. We also offer full maintenance and repairs for our sewage pumping stations systems, giving you peace of mind that your system will continue to operate smoothly – with no impact on effectiveness, health or hygiene. 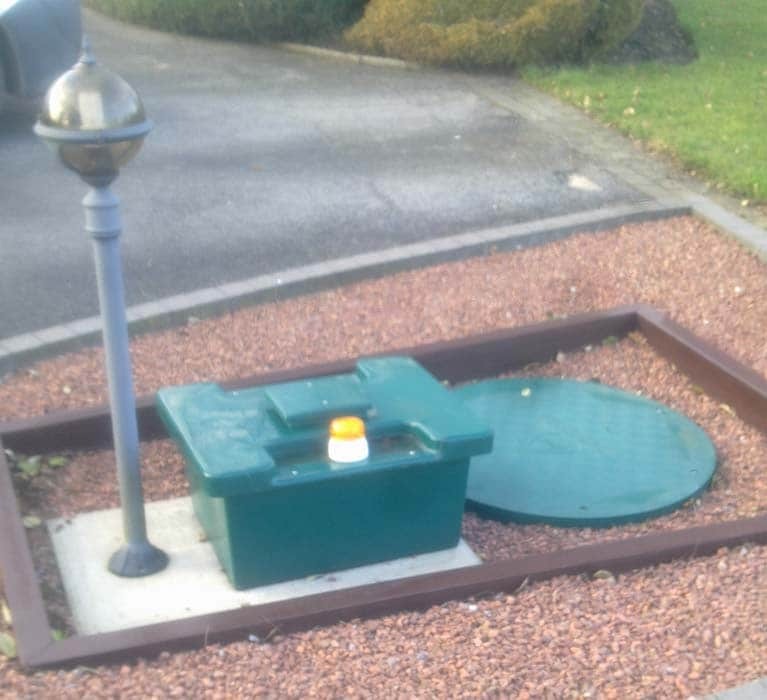 To discuss your options regarding domestic sewage treatment plants, call us on 01775 711 960 and a friendly member of our team will be on hand to offer you full advice and support.